PracticeFusion visits 1AM for an awesome team event! Home/Classes, Community, Events, Mural Production, Team Building Workshops/PracticeFusion visits 1AM for an awesome team event! 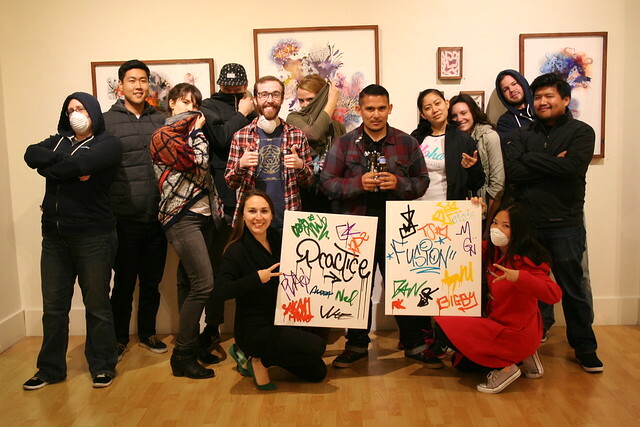 PracticeFusion joined us for an evening workshop adventure to learn more about the graffiti art scene and to try their hand at spray-painting. It was great to meet you guys! Email privateevents@1AMSF.com to setup an exciting happy hour event for your team.